There is one column in the Guardian newspaper that is an unfailing source of delight: ‘Corrections and clarifications’. Last Friday it kicked off with an apology. We wrongly reported that a proposed reform of the Portuguese language could mean that the letters c, p and h are removed from the alphabet. I fear on my next visit the atmospheric second city of Oorto, the ancient university centre of Oimbra and many other places I have loved in Ortugal will be, well, just not quite the same. The Orthographic Accord signed by Portuguese-speaking countries seeks only to remove these letters from words where they are never pronounced, such as húmido (humid). The letters will remain in the alphabet for words where they are pronounced (World’s Portuguese speakers in new attempt to unify language, page 16, March 26). In the same article we said one of the signatories to the accord is Western Timor when we meant Timor-Leste (formerly East Timor). A proper account of the Acordo Ortográfico can be found in Wikipedia. If the Guardian journalist were a student of mine I would also have pointed out to him that a minor change in spelling conventions is not a “reform of the Portuguese language”. A language remains the same no matter how it is represented by marks on paper. German remains German, no matter whether you write daß or dass. English would still be English if we were to reform its chaotic (cayottic) spelling. Portuguese remains Portuguese with the spelling úmido just as much as with the spelling húmido. On the other hand getting rid of gender, for instance, or regularizing irregular verbs like fazer — that would be language reform. Oh, Jennifer Jenkins, what have you started? Steve Akamatsu drew my attention to a sensational article in yesterday’s Daily Mail. Er, up to a point, Lord Copper. As English becomes more common, it will increasingly fragment into regional dialects, experts believe. Braj Kachru, of Ohio State University - one of the world's leading experts in English as a second language - said non-native English dialects were already become [sic] unintelligible to each other. I traced the Mail’s story to the issue of the New Scientist that bears tomorrow’s date. This article is a lot more sober, and most of what it says is straightforward. But it is not without errors. ... the "great vowel shift" ... shortened some vowels - like "ee" to "aye", as in "mice" - and pushed others to the front of the mouth, for example the Middle English vowel pronounced "oh", which became "oo" as in "boot". Readers of this blog hardly need to be told that the GVS affected quality but not length, while uː is a back vowel, not a front one. I wonder if the NS would allow crass errors of this kind in an article on, say, physics or biology. 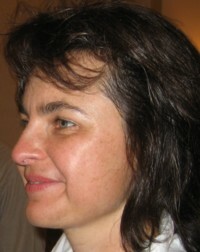 The article goes on to mention various well-known linguists: as well as namechecks for Kachru, Al Marckwardt, and Geoff Pullum, we also find the usual suspects Jennifer Jenkins and Barbara Seidlhofer. that the "th" sounds of "thus" and "thin" are often dropped and replaced with either "s" and "z", or "t" and "d". No, the other way round. These foreigners’ mispronunciations typically do not affect voicing, only place or manner. Another consonant that causes problems is the "l" of "hotel" and "rail", which is often replaced with a vowel or a longer "l" sound as in "lady". Perhaps originally, before garbling, this was a reference to the loss of l-allophony, i.e. to the neglect in foreigners’ English of the clear-dark distinction. I don’t see any way we can know whether the ultimate result of what’s going on now will be Panglish — a single English that would have dialects but would display at least a rough consensus about its grammar — or scores of wildly varying Englishes all around the globe, many or most of them heading towards mutual unintelligibility. People think I’m eccentric for knowing and using Esperanto. One of the regular arguments deployed against the idea of Esperanto is that it would be at risk of disdialektiĝo, splitting into mutually incomprehensible dialects. But it seems that this may be precisely the danger threatening English, its more successful rival for the role of everyone’s second language. And I don’t find any unintelligibility Japlish-style here or Chinglish-style here. In north London, in the London Borough of Barnet, is a place called Friern Barnet. The earliest recorded form of this name is Frerenbarnet (1274). The first part of the name, Freren, is the Middle English (from French, from Latin) for ‘of the brothers’, and refers to its early possession by the Knights of St John of Jerusalem. Not too far away there is another place, Monken Hadley. It is so called after the monks of the monastery which was once there. As Monken is to monk, so Friern is to friar. In Friern Barnet there is a Friary Park. Obviously, therefore, you would expect Friern to be pronounced ˈfraɪən, just like friar. And that is indeed how many people say it. Both forms are given in Graham Pointon’s BBC Pronouncing Dictionary (OUP 1990). Both are duly recorded in EPD and LPD. But ODP has only ˈfraɪən, which I think is OK prescriptively but not descriptively. 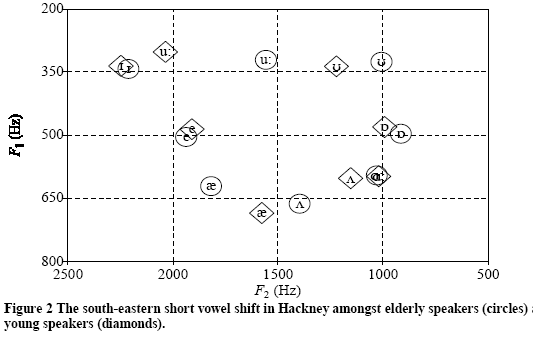 an occurrence currently happening in London is the development of a “multi-ethnic dialect” seeming independent of social origin and including patterns “from Cockney, Jamaican creole, Bengali and other languages”. ...Is it rather fact than fiction or is it more like a hype such as about Estuary English? What is your opinion? The teenagers also used words like blud (blood, meaning mate), creps (trainers), yard (house), and endz (area or estate). Prof Kerswill believes this new form of speech, which they refer to as Multicultural London English (MLE), arose as more recent immigrants learned English with few English-speaking role models. The phonetic part is reported more technically in an article written by Jenny Cheshire, Sue Fox, Paul Kerswill & Eivind Torgersen, from which the following chart is taken. What particularly interests me is the change in vowel qualities among young inner-city speakers. You can see in this formant plot the striking anticlockwise movement of TRAP, STRUT, FOOT and GOOSE (/æ, ʌ, ʊ, uː/). This makes cat, for example, into [kat], so pretty similar to older Cockney cut, and leaves cut as [kɑt], with a very similar quality to that of cart [kɑːt]. Meanwhile FOOT and GOOSE lose their rounding and are no longer back but central or even front: /ʊ/ becomes more schwa-like and /uː/ turns into a sort of [ɨː] that can sound alarmingly similar to RP /iː/. In London, however, they find that the changes in STRUT and GOOSE are led by young non-Anglos (of African, West Indian etc. heritage) and Anglos (white English) with non-Anglo friends rather than by Anglos who socialize mainly with other Anglos. It makes the new London STRUT similar to Jamaican STRUT but makes GOOSE very different from Jamaican GOOSE, which is firmly back and rounded. The authors go on to describe the “reversal” of the London diphthong shift, leading to the restoration of RP-like qualities for FACE, GOAT, PRICE and MOUTH. Furthermore, they report, the young speakers drop h very much less than the older people; and they have an innovation called K-backing, involving [q] or something similar before non-high back vowels, as in cousin, car, cot, caught. There is a Powerpoint presentation about it here. It’s one of the rarest sounds in the world’s languages. There may well be no language other than Czech that has it. I’m referring, of course, to the fricative trill, orthographically ř, which we all know through the name of the composer Dvořák (Wikipedia sound file). The composer’s name could then be transcribed ˈdvoɼaːk. One of the decisions made at the IPA’s Kiel Convention in 1989 was to withdraw recognition from this symbol. The IPA members voting at the Convention took the view that it was adequate to use the ordinary symbol r (voiced alveolar trill) together with the ‘raised’ diacritic to show the closer, hence fricative, articulation. The fricative trill also occurs voiceless, though only as a positional allophone after voiceless consonants (tři ‘three’) and word-finally (pekař ‘baker’). Both with the old symbol and with the new one there is a problem about transcribing this variant (if you feel you need to). There’s no room for a voiceless diacritic underneath, so it has to go on top: r̝̊. Bill Lee’s Teach Yourself Czech (EUP 1964) offers excellent pronunciation advice to the learner. Here is the description by my colleague Jana Dankovičová in the Handbook of the IPA, page 71. You might be interested in this, from the Sunday Times, 23 March: Correct Pronunciation on the Radio. Following on from Friday’s discussion of the mutual incomprehension between voice teachers and phoneticians, I received an email from Philip Thompson, President of the Voice and Speech Trainers Association. I entirely agree with your insistence on accurate (verifiable) descriptions of the physical actions and anatomy of speech. Theatre Speech teachers, working in isolation from phoneticians and other linguists, aren't subject to the salutary buffeting of scientific skepticism. Our teaching will only be made stronger by the demand for clarity. I should protest, though, that some of us are perfectly comfortable talking about third formant lowering (or raising in the case of the uvular fricative /r/). I usually don't use these terms with acting students. Actors are unwilling to take on too much information as the price of learning a necessary skill. They want to do something. And Voice and Speech teachers are often very skilled at guiding students to the physical experience that allows them to grasp an articulatory skill. The language we use along the way is often fanciful, resorting to imagery more than spectrography. One on one with an actor, that language is probably more effective. Where we get in trouble, though, is when we mistake image for fact. I am very careful when working with student-actors, to explain the difference, and to acknowledge when I am passing from one mode to another. With that precaution in place, I'm perfectly comfortable with beams of energy, chakras and the like. Whatever works. Eric Armstrong, who likewise has something of a foot in both camps, makes these comments. 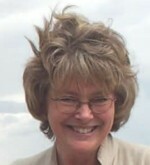 Most voice trainers, and I'd argue most voice students, will interpret the intent behind the discussion of "vibration" in Sue Ann's post, and language like it heard in voice studios across the Western world, as referring not to the kind of vibration that Wells is referring to, but to a sensation of sympathetic vibration in the tissues of the oral tract. Rather than relying exclusively on proprioceptive awareness of the articulators place in space, many trainers use those sensations of vibrations, often, even more confusingly, labeled "resonance," to describe the outcome of the the different positions of the articulators and the sound and its qualities. As the articulators move, the sensation moves too, and many actors appreciate the "vibration" more acutely than the movement. 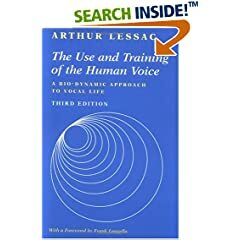 Some training methods rely heavily on the "awareness of vibration" approach, probably most notably the Lessac approach to voice and the Stern approach to accent training, though they have no exclusive hold on it, as almost all methodologies touch on it to some degree. Trainers who brand their approach to voice frequently describe their methodology in pseudo-scientific terminology, or jargon that makes an approach exclusive, special and marketable. Usually it is the language that worked well for them in the classroom. I believe that the approach that Sue Ann describes can work — she is an accomplished teacher with more years teaching actors than I can ever aspire to. Do I do it that way? No. But I like to believe that I can learn from her approach, and try to glean what works, and perhaps even guess at why it works. When she says "out of the throat and into the hard palate," I know what she means! It is not fantasy for me. She is referring to a state where she feels a sensation of vibration more strongly on the tissues and bones of the hard palate than in the pharynx. Unfortunately this is a very vague way of describing an articulation, as there are many sounds that can be made with a greater sensation of vibration. Voice trainers aren't scientists, generally, so our point of view is different. We work with scientists, such as phoneticians, to become more adept at teaching ourselves and then our students about how the voice works, and then we work to adapt that knowledge into useful tools for acting. That isn't always an easy task. It's not hard because of the actors, it's because we're not explaining clearly enough for them, in a way that they can appreciate and not be isolated from because it appears either too technical or too "airy-fairy" or vague. Finding that balance is a huge challenge, and it must be something we continue to work towards, including always questioning how we choose to present our approach to voice. There has recently been an exchange of views in two email groups to which I belong, which I wanted to share with a wider audience. It started with a request on the Vastavox list. Any of you have any particular sure-fire (or almost?) exercises for a French speaker who is learning the English R? I'm not quite happy with a client's progress with my tongue, soft palate, placement-comparison exercises. 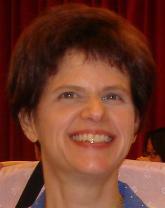 A reply came from Sue Ann Park of the Lessac Institute for Training and Research. Is what you have worked with to help a French speaker make an American R any different from this, which we use to teach those Americans who make the R with the R-colored vowel? While humming on an NG, with the back of the tongue gently hugging the back of the hard palate, feel sides of the tongue hugging the side teeth. Then, curl the front of the tongue up like a spoon and then, gently release the back of the tongue from the hard palate without stopping the voice and develop this R by improvising personal melodies or using melodies one knows to get the identifying sensation of its vibratory presence near the back of the hard palate. When the R occurs before a vowel, its vibration will last just long enough to be felt, then, the front of the tongue rests down behind the lower teeth for the vowel. Note 1: A forward facial posture like that of an AW (Lessac #3) focuses the vibration out of the throat and into the hard palate. NOTE #2: In many regional American dialects this R (rhotic?) vibrates harshly and tensely in the throat which is unhealthful for the throat and is a distracting noise that many listeners object to. It has long worried me that phoneticians and those in the allied field of voice training don’t seem to be talking the same language. I wrote as follows. Forgive my saying so, but Sue Ann Park's posting is an example of what makes meaningful discussion between phoneticians and voice people so difficult. From the phonetic point of view (i.e. objectively describing the activities and configurations of the organs of speech), American r involves no kind of "vibration" (except that of the vocal folds, which is found in all voiced sounds). Talk of vibration "out of the throat and into the hard palate" or of something (other than the vocal folds) vibrating "harshly and tensely in the throat" is fantasy, or is irrelevant to the articulation of r, or maybe involves the use of the term "vibration" in a sense different from its phonetic meaning (= rapid intermittent closure). Italian, Spanish, and Russian r, on the other hand, DO involve vibration, namely that of the tongue tip against the alveolar ridge. This is why r-sounds in those languages are often called vibrants. In its manner of articulation, ordinary American English r is not a vibrant (= trill, tap or flap) but an approximant (= frictionless continuant). Its place of articulation ranges from postalveolar to retroflex, often involving a bunching of the tongue body towards the molars. French r is typically a uvular fricative. These asssertions can be demonstrated (or for that matter could be disproved, if wrong) in the phonetics laboratory, using techniques such as sound spectrography, electropalatography, cineradiography and now fMRI scanning. Which is not to deny that as teaching techniques Sue Ann Park's approach may work excellently, as discussed by Kenneth Pike sixty-odd years ago. It's just that the assertions are not actually true. Sue Ann, quoting Lessac, is talking about formant resonance here (not vocal fold vibration or trills). Regarding "throat", Lessac correctly observes that making an American "r" too strong pulls the whole articulation, including surrounding vowels, down into the throat, because "r-bunching" involves considerable pharyngeal tension. 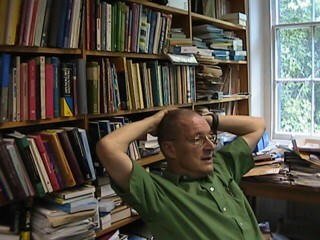 Mark Jones of the Dept. of Linguistics at the University of Cambridge offered some advice. There are obvious question about the usefulness of using terms like "vibration" for an oral articulation to a speaker who probably has a better proprioceptive idea of what some kind of oral vibration feels like than most American English speakers. Using a comparison like that in [Sue Ann’s] Note #2, which seems to be describing a uvular trill or something aryepiglottal (though the comment on "unhealthful" mystifies me) might confuse the pupil, even if it's not part of the actual training strategy. Very often these production problems are associated with perception problems (as the well-documented case of /r/ and /l/ and Japanese learners of English demonstrates, though not always completely straightforwardly). It might help to work out what your French speaker is hearing. Maybe s/he is hearing the lingual approximant low F3 /r/ as more like [v] or [w]. Evaluating the phonetic variant s/he is using may provide a key to this too, of course. A bit of ear-training first to make sure that low F3 /r/ is properly heard and contrasted might work wonders. If s/he can hear low F3 /r/ as distinct from other contrasts, imitation might be enough on its own. American English kids seem to learn adult-like productions of syllabic /r/ (i.e. in watER) before consonantal ones, so you could also start there, though rhoticised vowels are probably even harder for non-natives. I fear, though, that phoneticians’ talk of low F3 (that is, third formant) and aryepiglottal articulation may be as meaningless to the voice people as their talk of the vibratory presence of something (the back of the tongue? the r-sound?) near the back of the hard palate is to phoneticians. But we need to be able to talk to one another. To quote the musical Oklahoma!, territory folk should stick together: the farmer and the cowman should be friends. Here’s one more posting relating to prosodic differences between English and German. It concerns stress in compounds. Although the two languages share the general principle of putting primary lexical stress on the first element of a compound, English has a rather large number of exceptions where German does not. These include cases where the first element names a material, ingredient, time or place. English usually stresses the second element, German the first. There are exceptions in English where the first element names an ingredient (etc.) but we nevertheless have regular compound stress on the first element. And there are certain place names where German nevertheless has stress on the second element. My impression is that the other Germanic languages (Dutch, Danish, Swedish, Norwegian, Icelandic, Faroese) mostly have fairly regular compound stress. In Norwegian and Swedish it involves a special word tone, in Danish their stød (glottalization). If this is not the case, I am sure someone will let me know. and, most importantly, the principles governing the location of the nucleus (focus)? That is, are there differences in the three Ts: tone, tonality and tonicity? And to discover whether such deeper differences exist you need to have access to native speakers who have insight into what is going on. You won’t get very far by just sitting in a phonetics lab analysing the pitch patterns of random utterances. I think it’s clear that English and German have a good deal in common, not just in vocabulary, syntax and morphology, but also in intonation, if seen in this light. The same is probably true for all the Germanic languages. There are differences, of course. We discussed one yesterday. Another concerns sentences consisting of a major part with a minor part, for instance some adverbial or other subordinate material. English has two favourite intonation patterns for these. If the minor part comes first, it tends to have a fall-rise, followed by a fall on the major part. If the major part comes first, it has a fall, usually followed by a rise on the minor part. Thus, depending on the order we choose for the two parts, we might have either of the following. This \/evening | I’m re'turning to \London. I’m re'turning to \London | this /evening. In German there is a strong preference for a rise on the minor part and then a fall on the major part. (The other option, with the adverbial at the end, so-called Ausklammerung, is apparently now becoming commoner than it once was but is still very restricted.) There are two straightforward possibilities for the word order. Ich 'komme heute /Abend | nach \London zurück. Heute /Abend | 'komme ich nach \London zurück.
? * Ich 'komme nach \London zurück | heute /Abend. Though of course it would be OK with a change of speaker and with heute Abend as a question. A. Ich 'komme nach \London zurück. I continue to fret about anomalous tonicity. Consider the accenting of the word to in exchanges like this, heard recently. A: 'What are you going to 'do? B: There’s 'nothing 'to do. Logically, you would think, B’s intonation nucleus ought to go on nothing. But it doesn’t. It goes on the function word to. Why? Other ways for B to say the same thing in his answer include these. B: There’s 'nothing I 'can do. B: There’s 'nothing I 'could do. Or the idea can be lexicalized. Or, going back to the first version, we can change nothing to not anything. B: There 'isn’t anything 'to do. This is another of those counterpresuppositionals (blog, 22 Feb 2007), and one explanation that has been offered is that the accented to signals marked polarity. The speaker emphasizes the absence of anything that is doable, as against what is not. So we have a marked positive. However, there is a difficulty here. Taking the sentence as a whole, the speaker is saying that nothing is possible. The polarity is negative, so it seems perverse to talk of a marked positive. B: ?There 'is nothing to do. Compare what happens if B gives an answer with negative polarity for do. The nuclear accent goes on the negator. B: There’s 'one thing I will 'not do. B: There’s 'one thing I 'can’t do. Notice that it is impossible with negated do to accent to. B: *There’s 'one thing not 'to do. B: *There’s 'one thing 'to not do. I gather that in German things are somewhat more straightforward. You don’t accent zu where you would English to. B: *Da 'gibt’s nichts 'zu tun. A: 'Was wirst du 'tun? B: Es 'gibt (aber) nichts zu tun. B: Da 'gibt’s nichts zu tun. Apparently, though, while you cannot have accented zu to show marked polarity, you can have it to show marked tense. So the following might be OK.
B: Es 'gibt nichts 'zu tun, | es hätte schon 'längst ge'tan werden müssen. ‘There’s nothing to do (now), it ought to have been done long ago’. How difficult it all is! P.S. Petr Rösel asks what happens with a slightly different wording. B: There’s nothing to be done. I think I could then accent be or to. B: There’s 'nothing to 'be done. B: There’s 'nothing 'to be done. My bedside radio comes on at 06:30. It is set to BBC R4. So in the early morning every Saturday I get a dose of Farming Today. This past Saturday had a discussion about vets (in the BrE sense ‘animal doctors’, of course, not the AmE ‘exservicemen’) and the problems that arise from the fact that working with companion animals (cats, dogs, rabbits) is nowadays much more lucrative than working with farm animals. This causes a shortage of vets prepared to work down on the farm. Naturally, the word veterinary was used repeatedly. I was struck by the fact that the only pronunciation I heard, whether from farmers, from vets themselves, or from their teachers at university, was ˈvetn̩ri or the phonologically equivalent ˈveʔn̩ri, ˈvetənri. Only three syllables, only one r.
Back in the Jones-Gimson-Ramsaran days this pronunciation was given in EPD as a variant. 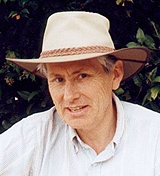 But the current editors, Peter Roach and Jane Setter, have removed it, leaving only spelling-based forms such as ˈvetərɪnəri, with more consonants and more syllables. Perhaps we’re all going to have to yank our entries for this word into line with actual usage — at least as exemplified in Farming Today.